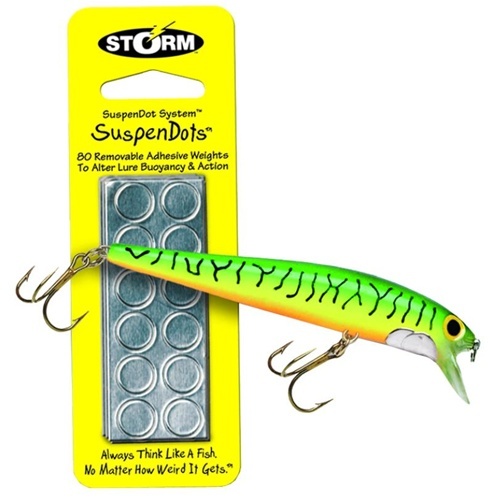 Removable adhesive weights to alter lure buoyancy & action. Quick and easy to turn a floating crankbait into a suspending version of the same model. 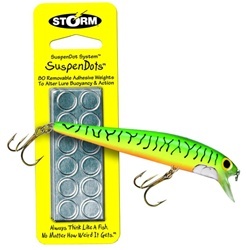 Press these adhesive dots or strips onto your lure to adjust buoyancy.